Foiling presents a different approach to conventional sailing and here at Foiling World we have decided that we will take a slightly different approach to how the class association is run. A different take on events! not much windward - leeward racing at this time! Early Tribe members will define the standards that will be used to progress the skills, such as a one design camera / GPS unit, that will allow easy upload to Sportpholeo. Once linked to the bracket, that can be purchased, the whole remote coaching becomes easily viable. In addition modern discussion groups are already formed using Whats App, all encouraged to have a class that is directly driven by its members to deliver the modern day sailing needs of those members. With Northern Europe becoming increasingly cold the F101 Tribe has decided to base itself in Murcia, Spain on the Mar Menor and link to Pro Vela, for winter storage, rescue cover and additional tuition. 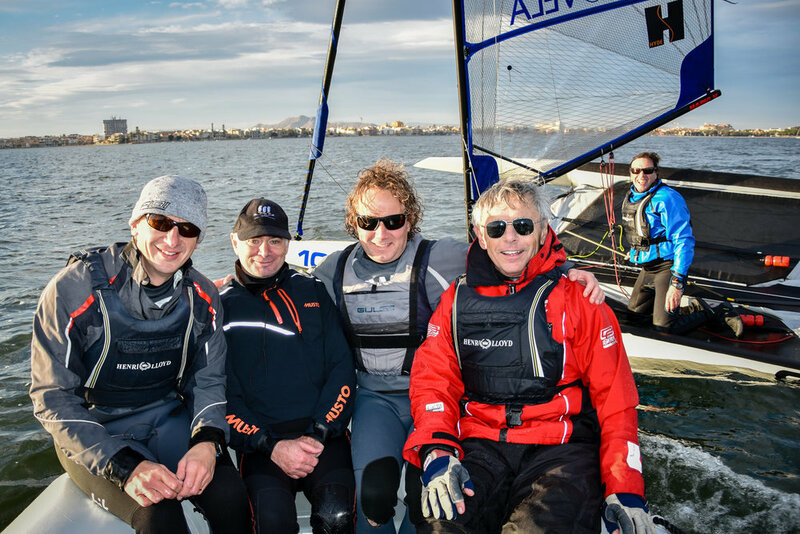 With cheap, easy access flights from most European hubs into Murcia or Alicante, it is proving to be an ideal, warm, flat water venue for getting to grips with foiling. With a plentiful supply good golf courses, tennis, cycling and cheap winter accommodation some tribe members are making it a friends and family experience. "The Tribe will evolve as the class increases in numbers, but we aim that the core ethos of the class will always reflect the needs of its members, using modern day communication tools to bring foiling to those who though it was out of their reach." Keep up to date with the latest foiling news! Thank you for subscribing to Foiling World News!